With the ever-growing population in major cities all over the world, urban mobility and safety is the utmost important element in determining the competitiveness of a city. The key component in providing better urban mobility and safety is non other than software systems. 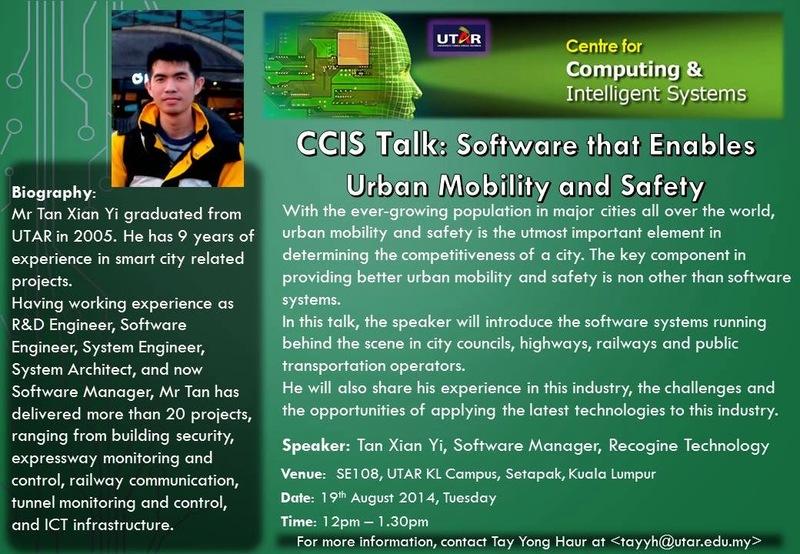 In this talk, the speaker will introduce the software systems running behind the scene in city councils, highways, railways and public transportation operators. He will also share his experience in this industry, the challenges and the opportunities of applying the latest technologies to this industry. Mr Tan Xian Yi graduated from UTAR in 2005. He has 9 years of experience in smart city related projects. 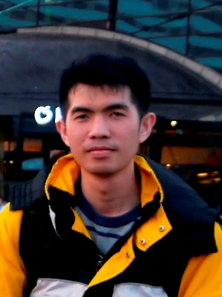 Having working experience as R&D Engineer, Software Engineer, System Engineer, System Architect, and now Software Manager, Mr Tan has delivered more than 20 projects, ranging from building security, expressway monitoring and control, railway communication, tunnel monitoring and control, and ICT infrastructure.